"Rick Danko put Norfolk County on the world stage". Video interview from CTV: "Robbie Robertson's children's book"
Friday Dec 11 at the NTE Arena: "Takk Te Dokk", a tribute to Norwegian rock legends Prudence, featuring Garth, Maud and many other guest artists. Sunday Dec 13, Namsos Church: "Holy Wood", concert with Garth on church organ, vocals from Maud. Recent article from Vanity Fair about Elliott Landy's new The Band photo book: "How Kickstarter Helped a 60s Legend Preserve a Piece of Rock History"
The Weight Band, featuring former members of The Band, Levon Helm Band and Rick Danko Group, will be joined by The King Harvest Horns for the first time, performing the historic "Rock of Ages" concert, with horn charts by the late great Allen Toussaint!! Tickets and more info available from the Brooklyn Bowl web site. New photos of The Band in Palo Alto, 1984. Boz Scaggs' 2015 album A Fool to Care includes covers of Rick Danko's "Small Town Talk" and The Band's "Whispering Pines". May you rest in peace, Allen Toussaint. According to this recent interview from biography.com, Robbie Robertson is working on a new solo album, "a mirror, basically, to the autobiographical tome which will published next year, the new songs and the old stories interconnected". May you rest in peace, Hirth Martinez. 50 years ago today, on October 2nd 1965, Bob Dylan with Levon and the Hawks played in Newark, NJ. Robbie Robertson's autobiography Testimony -- A Rock'n'Roll Life will be released in September 2016. Available for preorder from amazon.com. Manuel -- a play about Richard Manuel, told through the eyes of Richard's last remaining brother Al as he reflects back on thirty key years in his brother's turbulent and incredible life. Saturday November 21, at the London Music Club in London, Ontario: The Whispering Pines Music Festival, in support of the Richard G. Manuel Music Award, featuring Rick Danko's brother and former member of the Hawks, the great Terry Danko. Volume 12 in Bob Dylan's Bootleg Series, titled Cutting Edge 1965-1966 and featuring The Band/Hawks on several tracks, will be released in November 2015. From the Huffington Post: "Unfaithful Servants: Four Decades of 'The Band' (and Counting)"
Loads of original 70s press photos of The Band are up for sale! "Bob Dylan and the Band's Big Pink Available for Rent"
"It is with great enthusiasm that I share some art and a snippet of the song I created with my son, Sebastian Robertson for the upcoming children's book Hiawatha & The Peacemaker." From the Wall Street Journal yesterday: "Harold Bloom on The Band: A literary critic fetes the leathery authenticity and spirituality of The Band's 'The Weight'". Interview from August 15, Rockcellar Magazine: "Robbie Robertson Recalls the Band's Hits, Legacy and Experiences"
Lovely birthday article/interview by Nick DeRiso at Something Else! : "Garth Hudson on The Band's influences, Basement Tapes, tragic losses". New article from UK music magazine UNCUT: "The Band, Bob Dylan and Music From Big Pink -- the full story". It's Garth Hudson's 78th birthday today! We send our best wishes to Garth and Sister Maud Hudson. 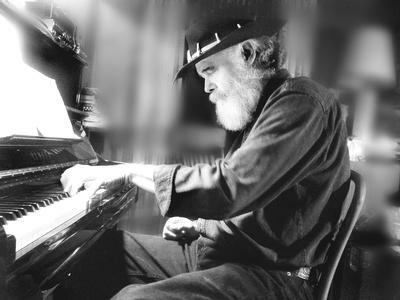 From No Depression, 07.28.2015: "Garth Hudson Honored in Woodstock". From Rolling Stone: "Amy Helm on Finding Her Own Voice With 'Didn't It Rain' Album -- Levon Helm's final recordings are featured on his daughter's first solo LP, which he executive produced". Amy Helm's debut album Didn't It Rain is officially for sale on-line and in stores today! From the New York Post, 07.19.2015: "How Amy Helm is carrying on The Band's Lecgacy". Garth Hudson and Sister Maud Hudson are the headliners at the Canterbury Folk Festival in Ingersoll, Ontario, Canada, on Saturday July 11, 2015! Robbie Robertson's 1980 soundtrack Carny will be re-released on CD by Real Gone Music in August 2015. Garth and Maud Hudson were both inducted into the New York Blues Hall of Fame on May 31st, 2015! Here are some photos from the event. "Two great shows coming to the barn. Tickets for both will go on sale at levonhelm.com at 10:00 am, Thursday June 11th. First come - first served. Graham Nash & Shane Fontayne - August 16th. Jackie Greene - September 26th. The barn is alive and kickin'!" Check out this recent interview with Jim Weider from the Keep Calm and Rock On podcast in Baltimore, MD. One of the producers here is long-time The Band fan Michael Koehler from the group Yesterdays News, who had Garth Hudson guesting on their album The North Side. New The Band vinyl box coming up: The Capitol Albums 1968-1977. 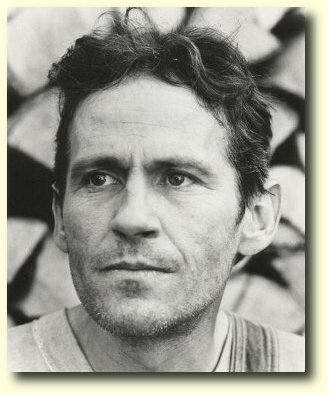 This is nice: "A Tribute to Levon Helm -- Rare Video 1959-2011"
Neck Deriso: "Levon Helm's essential Band songs: Gimme Five"
Amy Helm's debut album Didn't It Rain will be released on July 24 on eOne Music! The first single, "Rescue Me", is now available from amyhelm.com. Well, f**k me if the Zimmermen isn't back again! From Facebook: Jonathan Taplin just posted this photo with Robbie, Todd Rundgren and John Simon, taken during the 1970 sessions for Stage Fright. Robbie Robertson's autobiography is set for release in April 2016. The title is Testimony -- A Rock'n'Roll Life. The Kindle edition is already available for pre-order from amazon.com. New children's book from Robbie Robertson: Hiawatha and the Peacemaker. Includes a CD featuring a new, original song written and performed by Robbie. New York Blues Hall of Fame Induction Ceremony Concert, induction and musical tribute to Richard Manuel of The Band, Hubert Sumlin, Dave Van Ronk & Gerdes Folk City, plus live performances by inductees Garth Hudson & Sister Maud Hudson, and many others. Amy Helm Presents Friday Nights at The Barn: A musical tribute honoring Levon Helm's 75th Birthday! A night of spectacular music with special guests to be announced. "Hundreds pay tribute to Levon Helm" -- "More than 500 people over three hours Sunday attended an open house at Levon Helm Studios in Woodstock". The first draft of Robbie Robertson's autobiography is complete, according to Robbie's Facebook page. To celebrate the 37th anniversary of The Last Waltz's film release, The Band's store is doing a cool TLW promo. From rollingstone.com, 04.14.2015: "Flashback: Bob Dylan and the Band Play 'Hazel' in Rare 'Last Waltz' Video"
There is a new Richard Manuel group on Facebook, started by Richard's son Joshua, with prevously unpublished photos and other interesting stuff for Band fans. Check it out! Robbie Robertson on his upcoming autobiography, 03.24.2015: "Two chapters left in the first draft". Garth Hudson played with the Sadies in Hudson, NY, last Friday, photos available from Garth's FaceBook page. The Band -- Capitol Rarities 1968-1977 will be released on May 12 2015! Bob Egan's PopSpots web site is about "the exact locations of album cover photos and other visuals of pop history and how a Pop Culture Detective tracks them down." In Bob's latest PopSpots entry, he finds "the location of photos of The Band by Elliott Landy from Music from Big Pink and The Band, a look at other Band albums as well, plus the location of the 'Wittenberg Road' house from the Basement Tapes." "These portraits of the individual members of The Band were taken in late 1969 for their appearance on the cover of Time Magazine, on January 12, 1970 -- the second-ever rock band on Time's cover, after the Beatles in '67, so clearly a photo shoot of some significance. This may be why The Band agreed to do studio portraits, which are quite rare in their peak period. However, Time opted to use a drawing on that cover instead, and these photographs were unseen until their recent discovery by Attie's estate." Happy 80th birthday, Ronnie Hawkins! Amy Helm's debut album is coming out this spring! You may now pre-order the album from amyhelm.com. New article from The New York Times: "From The Band's Music, the Weight Builds a Future".